Pancheshwar Mahadev is a renowned temple of Lord Shiva that is located at the Nepal border on the merging point of River Sharda and River Kali near Lohaghat in the Champawat district. 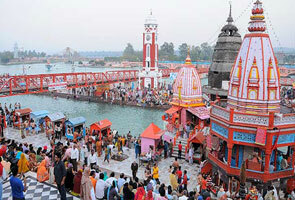 The temple is known as Chaumu by the locales and the Jaat of Chaumu is worshiped here. Most of the devotees arrive at the temple during the Chaitra Navratri festival which is celebrated with pomp and show in the month of March and April by Kumaoni as well as Garhwali people. Pnacheshwar is a holy shrine of Lord Shiva and encompasses beautiful idol of the Lord along with Naag devta. 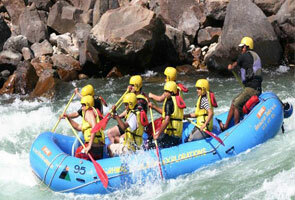 It is believed that a dip in the confluence is highly sacred. Pancheshwar temple is situated at the pleasing place and is surrounded by the natural beauty, wonderful forests, high mountains, streams of rivers and diverse species of flowers that are simply heart captivating. As per the myths, it is believed that Pancheshwar Mahadev is the protector of animals and shields animals of villages nearby against all sorts of disease and health issues. To please Lord Shiva, villagers offer him bells, milk and bhog. The Jaat of Chaumu that is worshipped here comes from the Sail village that is located at 5kms distance. 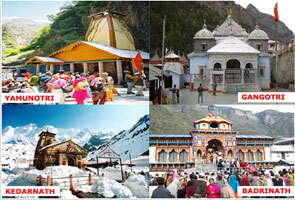 The temple is visited by large number of devotees each year. 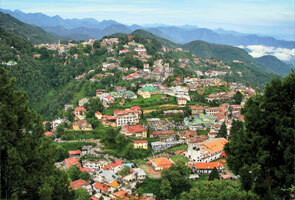 Some of the attractions near the temple are Chamdeval 8kms, Rasul 12kms and Pullu 5kms. Most of the people of Kumaon region come here to offer their prayers and offering to almighty but the tourist who wish to witness the Kumaoni culture must visit here in the months between March to October. In the month of winter this place experiences chilly breeze and travelers from regions of moderate climate might get uncomfortable here. During the Months of April-July and September to October, locals and tourists come here for fishing in the river Maha Kali, Sarju and Sharda. Those who are experts and excel in fishing are awarded with Great Head trophy. Apart from fishing, you may also visit some of the religious and sacred temple places in the region that are devoted to Goddesses of Mountains. Visitors get a chance to capture unique and impressive glimpse of white peaks of Himalayas. Pancheshwar dam is one of the exciting tourist attractions that was built on the river Mahakali basin with 6,480 MW power producing capacity and is 12,333GWH annually. The dam is reserved with 65kms upstream in Baitadi and Dharchula. Most of the people visit here between morning around 10 am to evening 5 pm. Visitors are disallowed to visit near the river because the area is marshy and may lead to accidents. Tourist can arrive at Pancheshwar Mahadev temple via taxi and car as it is 60kms away from Champawat. Thereafter to reach the temple one can either take a taxi or a bus. Temple is only 200 meters away.